NF Audio might not ring a bell yet. As of now, Chinese CIEM brands are not quite popular in the international hifi scene. But NF is hoping to change all that. 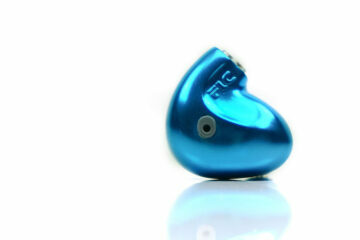 宁梵 Ning Fan is the first Chinese CIEM manufacturer to trigger my interest. The company was only founded in 2014 and is based in Shenzhen, close to Hong Kong’s border. In addition, NF stands for: Near Field (monitor), Nice Fit (and perfect isolation), as well as Nice Frequency (response). 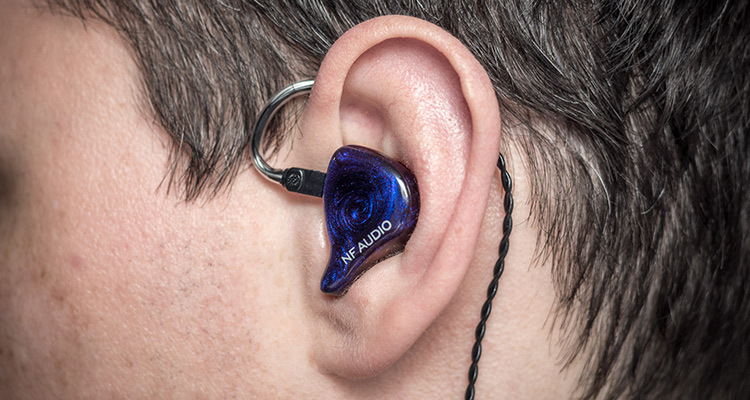 It essentially encompasses the term CIEM with custom fit and precise audio for monitoring capabilities. I received a note from a Chinese hifi friend who read some amazing impressions of the NF6 monitor online. Apparently some people were of the impression that the NF6 is the single best audio experience, being only challenged by legendary electrostatic headphones from Stax. We surely do not want to miss a hype! Though I was not fully convinced by the article, it did motivate me enough to track down a contact around some detours after I realized that the official contact email on their website is outdated. Please do note that while I officially speak, read and write Chinese (after studies and a year abroad), my Chinese is still limited and I am especially not familiar with the hifi vocabulary outside the textbook. Thus, communication with NF Audio was not easy and I cannot guarantee that there are no translation errors or that all information about development and company history are 100% correct. Putting the spots on the NF6, we are looking at a six driver monitor with 4-way crossover. The trump card is a proprietary high frequency receiver that is supposed to push the performance above the competition. However, many first impressions hinted that specifically the NF6 monitors were extremely difficult to drive. By the time my ear impressions reached the other end of the world, NF Audio already improved on the original design and introduced the NF6i, basically the same earphones with a higher sensitivity. Review units sometimes go past normal standard ordering procedures. This was also the case with my review unit. I did not choose design options myself. My aim is to assess the sound and build quality. If you are interested in the design options, I suggest to visit their official homepage at www.nfaudio.cn and head straight to the gallery. I found an extensive selection of woods, laser artworks, color prints, carbon, glitter and metal artwork. Judging from the pictures, the selection is very reminiscent of Rhines Customs, Vision Ears and Jomo Audio. The only way for non-Chinese to place orders right now is to visit the Chinese platform 淘宝 Taobao and go through the standard procedure. There are non-affiliated services that help non-native speakers without Chinese payment methods to follow through with an order, but I don’t feel comfortable enough to recommend one. I am not sure how experienced the company is with international shipments. When importing, passing the customs office could turn out to be a problem depending on your country. The CIEMs are not cleared with a CE-label (Communauté Européenne) so keep that in mind. In the worst possible case, the customs office could dispose of the package. Thus, I involved a local friend who helped me bring the earphones over sea. I recommend you do the same. The company told me that they are working on expanding above international borders and expecting universals down the line is not a wild guess. However, there is nothing precise I can promise at this point. A universal version of the NF6i might or might not happen. This monitor is also not their newest version. 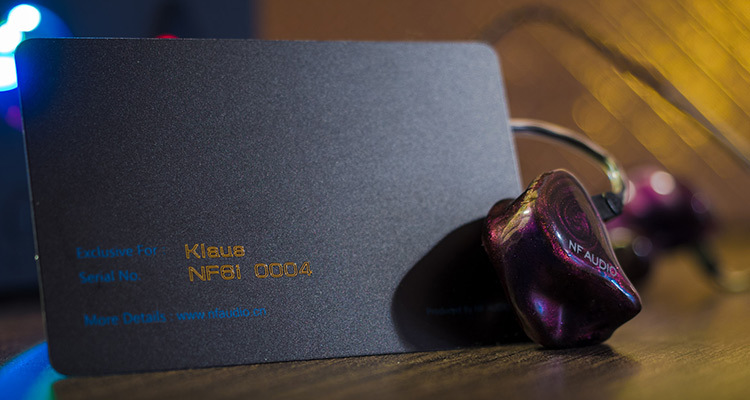 A makeover of the NF4 is currently the CIEM with the most attention within the company’s lineup. My customs have a deep purple color with a hint of glitter and a swirl on the faceplate. It reminds me of Psychedelic Rock covers from the nineties. I can surely dig that! The logo is humbly placed into the corner. I have to admit, I was expecting some more bling bling from China. I am surprised by the earphone’s modesty. The color allows some insights when held against the light, however it is quite opaque overall. The NF6(i) earphones are built in a 4-way crossover with six drivers. Surprisingly, NF Audio does not rely entirely on largely available drivers by Knowles and Sonion. They have created a unique and proprietary driver for high frequencies that is supposed to help the brand surpass the competition. The NF6i is easier to drive than the NF6, which is said to be very picky with source amps. Looking down inside the nozzle, you can see a 3-bore design. Each bore ends with a silicone tube and they come together in a hollow chamber before entering the ear canal. The very tip and inside of the nozzle are not as polished as the outside. Some lacquer hardened in shapes that always make me believe I made them dirty with ear wax. It’s not an issue but also not the prettiest polish. The outside part of the CIEM are brushed up nicely, however. The transition from shell to faceplate is not noticeable. Cable connection is not recessed. 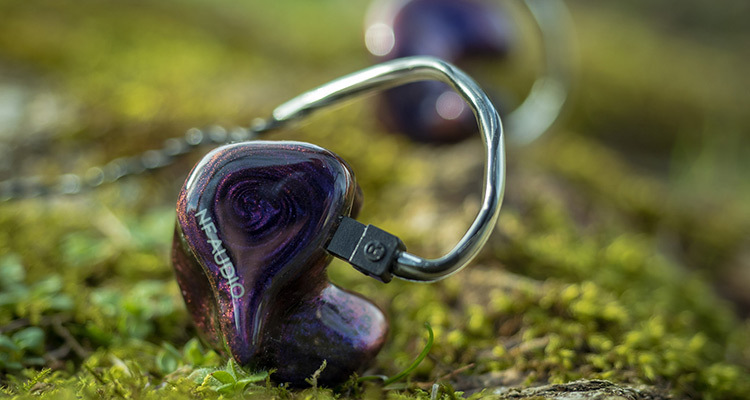 The overall build quality is very solid and not far behind the likes of Jomo Audio or Vision Ears. A serial number is laser-engraved on the top outer space on one side only. I would have been the 4th owner of the revised NF6i if I had the logistics figured out better. I have no issues with comfort. However, the CIEM are not very tight. I can deliberately break the seal if I want to. Compared to my other customs, these are the easiest to insert and to remove. While I find this especially comfortable when laying in bed or working at the desktop, I would not want to jump on stage as an artist with these. In that case, I would ask for a refit and a tighter fit. The accessories are fairly standard. An unbranded Peli 1010 case, a cleaning tool and a warranty proof of purchase card. The earphones have the standard Plastics1 cable already attached. 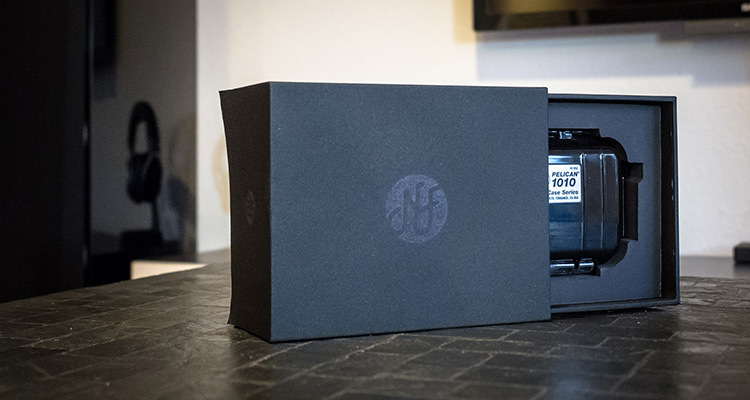 Less usual is the beautiful and sturdy cardboard box with NF branding. This adds a premium feel that many CIEM manufacturers are lacking. I did not find a manual in my box. There should be one included, but it is only in Chinese anyway.